Growing up I always wanted a daybed. Several of my friends had them and they were the closest thing to having a sofa in your room. Recently I came across this custom oversized daybed designed by Jonathan Adler for Nanette Lepore's home and it stopped me in my tracks! Genius! 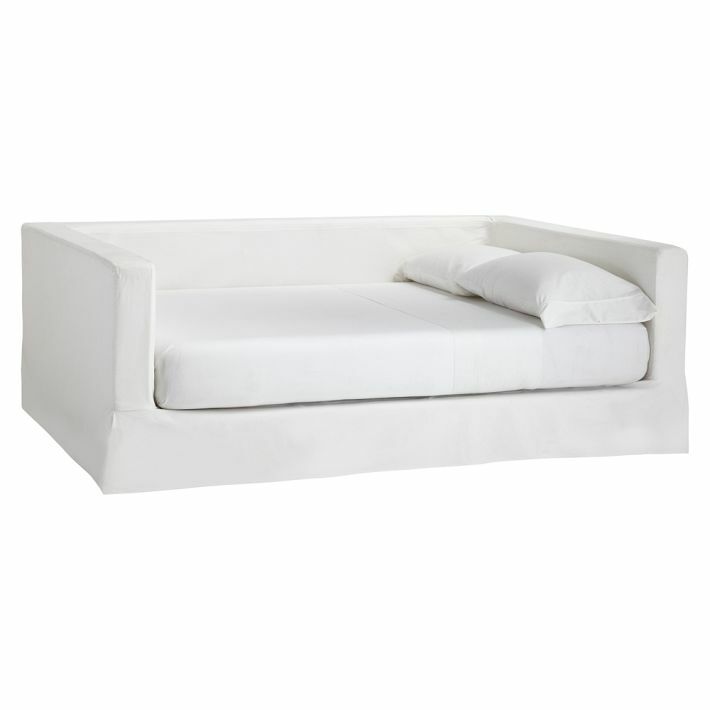 For those times when a daybed is fitting yet you want something larger than a twin! While many of the oversized daybeds I came across were custom there are a few retailers that have jumped on board! Making it a little more budget friendly. 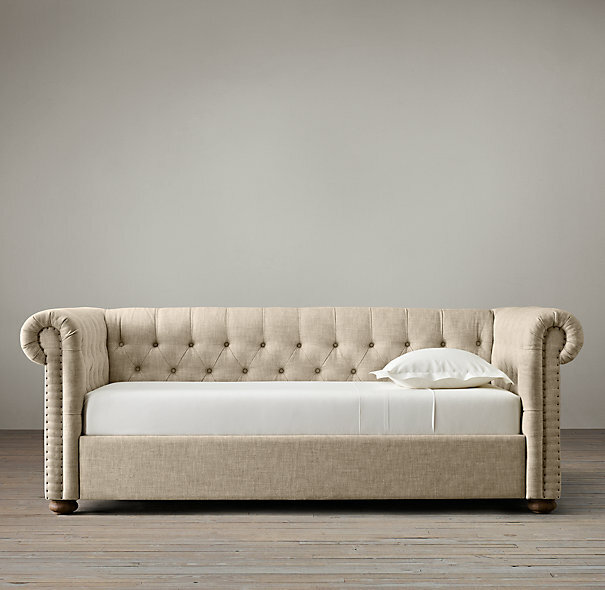 The chesterfield from Restoration Hardware comes in leather or fabric upholstered options. The Hemes daybed from Ikea converts from twin to full (and has built in storage). 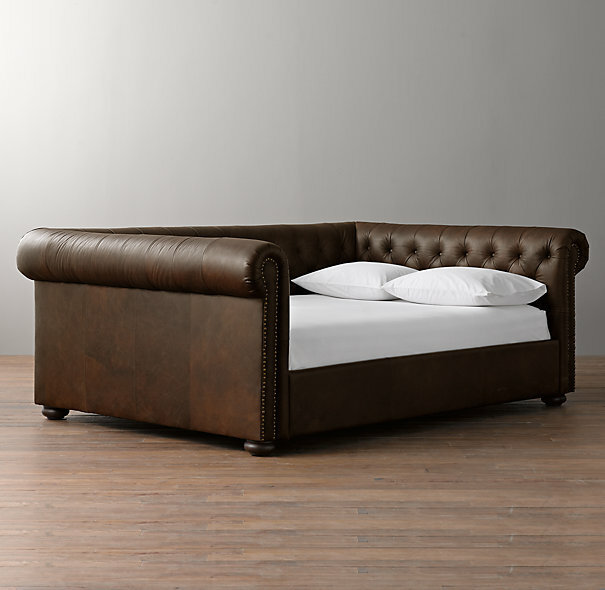 I also love the Jamie Daybed from PB Teen which is slipcovered!